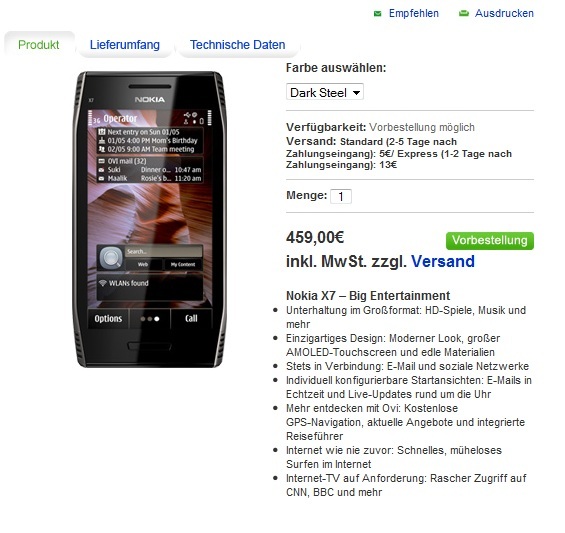 Adnan tips us that the Nokia X7 is available for Pre-Order beginning at Germany. 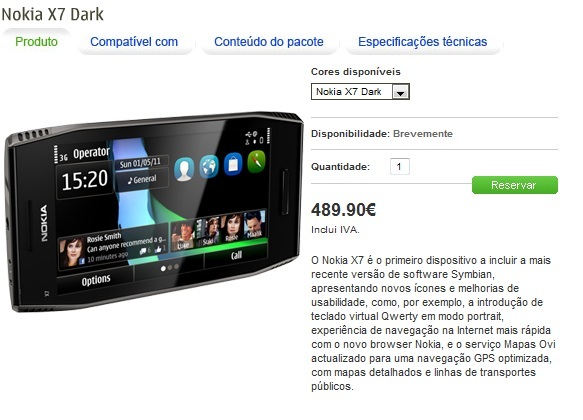 A google search also shows it’s available in Portugal too. It starts at 459 Euros in Germany, but if you live in Portugal, you have to pay 30 Euros more at 489 Euros. It’s not so strange, that difference has always been present for some reason. « X7 pre-orders go live in Germany: PR2.0 imminent?